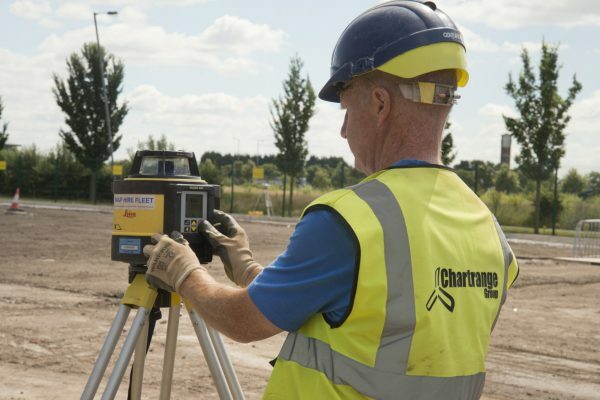 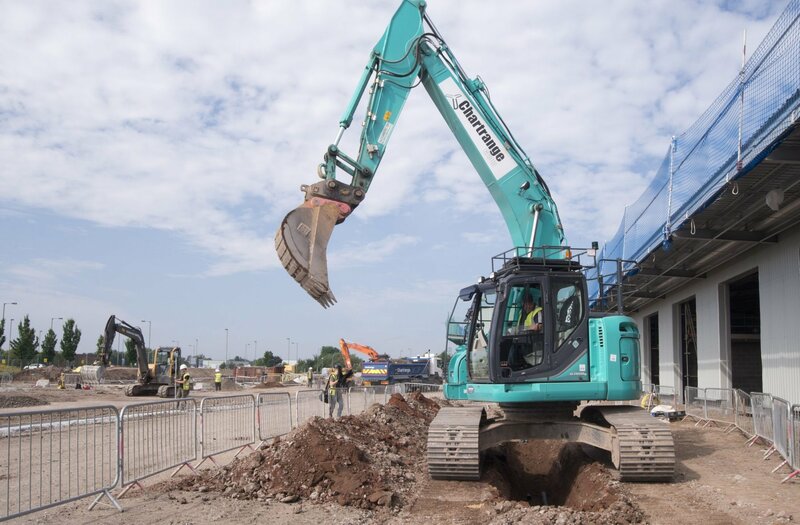 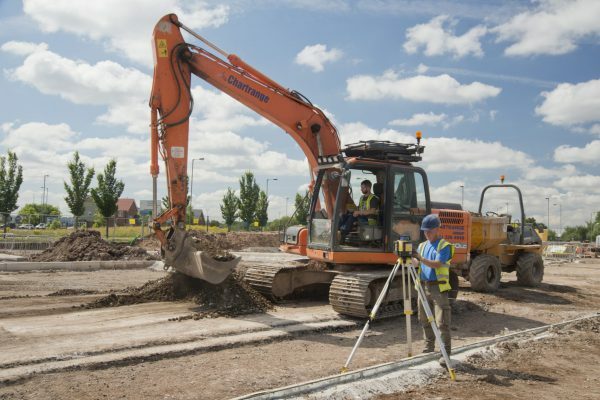 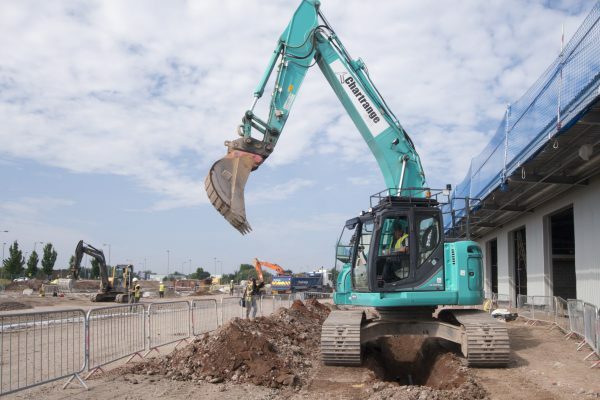 On site cut and fill (30,00m3), Asbestos removal, Removal of relic foundations, import of 20,000m3 6F2, import of 10,000m3 MOT type 1, Foundation bases and ground beams, drainage work including 1200 dia. Concrete pipes, channel drainage a slot drain 400m, Attenuation tank, GPS levelling, internal and external concrete slabs (laser screed) and muck off site of 20,000m3. 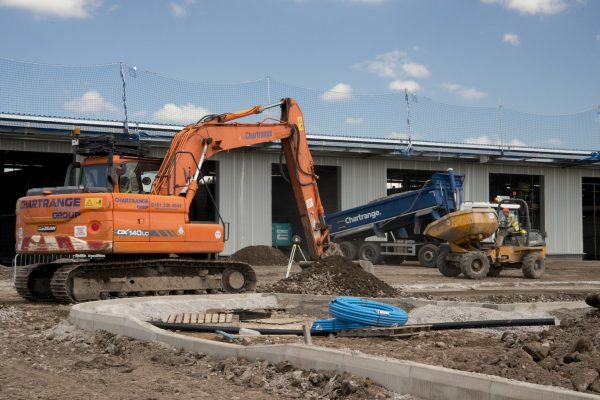 Soft landscaping, compound works, section 378 works, service investigation works (trial holes), external works, lighting columns, kerbs and edgings, 6m deep manholes built on existing sewer and plant wash down slabs.